A group of 70 seniors living in Michigan’s 8th Congressional District have formed a bipartisan group called “Seniors for Slotkin” in support of Elissa Slotkin. The district’s democratic nominee is seeking to unseat U.S. Rep. Mike Bishop, R-Rochester, who is running for a third term in a district that stretches from northern Oakland County to Ingham County. This group is led by two Oakland County residents including one Democrat and one Republican: Bill Haney of Ortonville and Nancy Strole of Springfield Township. Haney said Slotkin is a honest candidate and one that is candid, hard-working and passionate about serving her country and her future constituents. 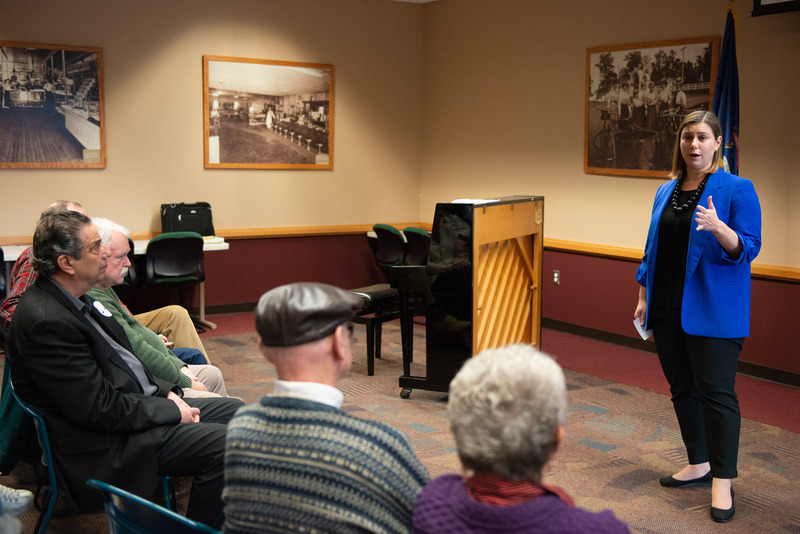 “She has been a regular guest at our Monday morning retirees coffee group in Clarkston, and will be an outstanding advocate for the issues that matter to seniors from protecting benefits for retirees to preserving a bright future for our grandchildren and future generations,” said Haney. Strole said Slotkin’s national security background and demonstrated devotion to her country shows that she is focused on the mission and not partisan politics. Next week, “Seniors for Slotkin” will join Jon Bauman, president of the Social Security Works PAC, at an event in Clarkston to formally endorse Slotkin and discuss her stances on social security and Medicare. Slotkin, a Holly resident, is a third-generation Michigander who has spent her career in national service both in the military and while serving under several presidential administrations in the CIA.